L’Acadèmia sueca ha atorgat el Premi Nobel de Literatura 2016 al cantant Bob Dylan. El jurat n’ha destacat: “Per haver creat noves expressions poètiques dins de la gran tradició de la cançó americana”. Un gir del premi que reconeix l’obra dels anomenats “cantantautors”. A la vegada reconeix tota una històrica tasca intel·lectual d’una amplíssima difusió i d’un ídol indiscutible de la música folk. 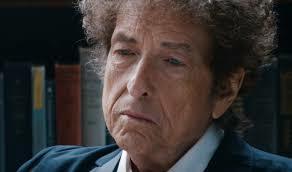 Bob Dylan was born on May 24, 1941 in Duluth, Minnesota. He grew up in a Jewish middle- class family in the city of Hibbing. As a teenager he played in various bands and with time his interest in music deepened, with a particular passion for American folk music and blues. One of his idols was the folk singer Woody Guthrie. He was also influenced by the early authors of the Beat Generation, as well as by modernist poets. Dalton, David, Det är inte mig ni söker : jakten på Bob Dylan / översättning av Christian Ekvall.– Västerås : Ica, 2013. Orig. titel: Who Is That Man?